Adding Leather Therapy Laundry Rinse & Dressing to the rinse cycle following washing with Leather Therapy Leather Laundry Solution will provide superior conditioning for natural or synthetic leather, fabric, wool fleece and sheepskin plus protection from fading, anti-static comfort and a fresh smell. 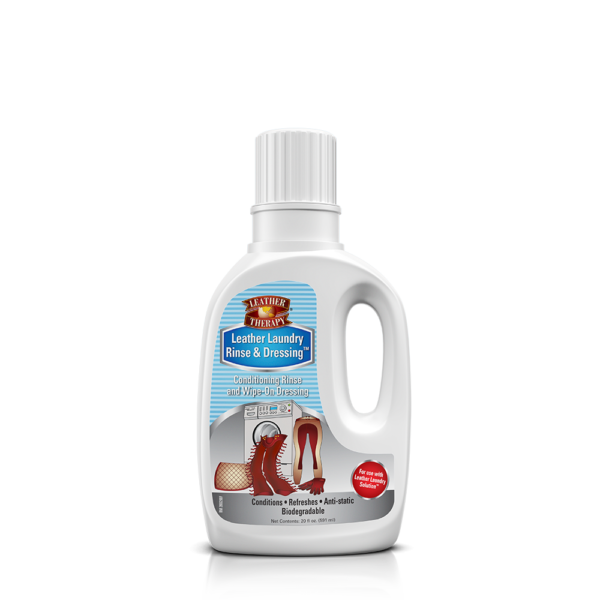 The rinse formula can be used as a wipe on dressing for extra dry leather after washing or 1-2 capfuls can be added to the last cold rinse cycle of a wash. 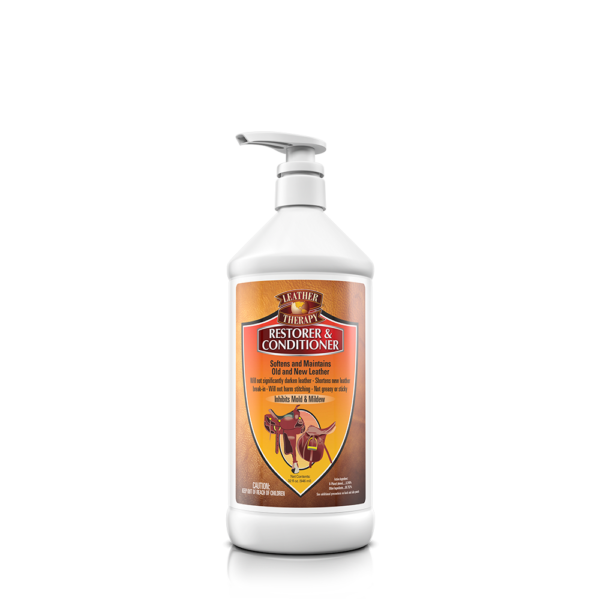 Wipe on treatment for smooth leather, gloves and wool fleece – Apply Laundry Rinse & Dressing directly to the smooth side of leather or the skin side of fleece while articles are still wet. As a washing conditioner – add 1-2 capfuls mixed directly into COLD water of last rinse cycle of wash.